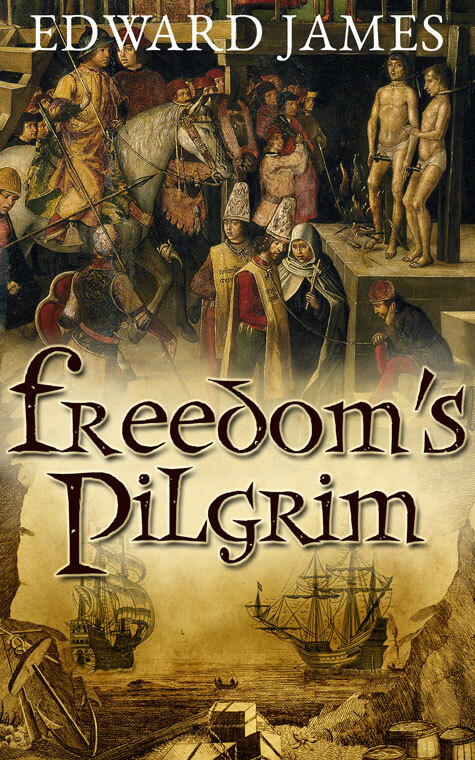 Avalon Graphics have sent me some suggestions for the cover of one of my forthcoming Tudor epics, ‘Freedom’s Pilgrim’, based on the story of Miles Philips, recounted by Richard Hakluyt in his Navigations and Discoveries. Without my telling you about it, what sort of a story does it suggest to you? Avalon are also creating a cover for ‘The Frozen Dream’, the opening pages of which are elsewhere on this blog. This entry was posted on April 20, 2014 by edward654 and tagged Avalon Graphics.